Any attempt to predict future directions that the Anesthesia Patient Safety Foundation (APSF) may take in pursuit of its vision that “no patient shall be harmed by anesthesia” requires an appreciation of the past. I believe that future activities of APSF will reflect, in large part, what has been learned over the first 20 years of the foundation’s existence. This does not imply satisfaction with past successes and a desire to sustain the comfort zone provided by the status quo, but rather the recognition that future successes will likely be built on the structure (people, committees, governance, safety initiative models) that has evolved during the brief history of APSF. The continued support of the American Society of Anesthesiologists (ASA) will be vital in the future. Without the financial support of the ASA, the APSF would have never happened and without this support in the future, the APSF will not remain viable. Anesthesia was the first medical specialty to champion patient safety as a specific focus. An important component of the anesthesia patient safety movement was the presence of a highly visible and respected advocate, Ellison C. Pierce, Jr., MD. Over the years others have functioned as the “invisible” volunteers who make patient safety happen. This laudable characteristic of those who give freely of their time and expertise is as vital for the future as it has been in the past. The APSF is a highly leveraged organization that achieved results recognized by the 1999 Institute of Medicine report as unique to American medicine with a budget of less than $1,000,000. In 2006, the APSF awarded $750,000 for patient safety grants representing an investment in the future that was greater than 50% of the budget for that year. This emphasis on patient safety research will continue in the future as the APSF has embarked on the goal to provide more than $1,000,000 annually to fund meritorious grant applications. As is the past, a cadre of investigators and scholars can look to the APSF for helping develop their academic careers. In the long term, the most important contribution of anesthesiology and the APSF to patient safety may be the development of a culture of safety that “permeates” our specialty and translates into safer patient care and improved outcomes. The APSF Newsletter is the “APSF,” and will remain the single most important vehicle for rapid dissemination of patient safety information. The current circulation exceeds 80,000 recipients and will almost surely grow in the future. Recently the APSF has formalized its relationship with Anesthesia & Analgesia with the establishment of a Patient Safety Section in the journal with a section editor. Along with the APSF Newsletter, this partnership with a peer-review journal will further advance patient safety, education, and research. I believe the future of anesthesia patient safety is inseparably linked with automated information systems. These systems will improve our future ability to link intraoperative events to both short-term and long-term outcomes. Collection of real-time data obtained from millions of anesthetics administered annually worldwide could lead to a better understanding of best anesthesia practices and improved patient safety. The Data Dictionary Task Force, under the sponsorship of the APSF and with industry as a partner, has developed standard anesthesia terms for use in automated information systems. The ASPF is committed to continued support of this project. The handwritten anesthesia record is a dinosaur that deserves to be placed in the “past history” of our specialty. In the future, operating rooms will need to function more like a “high reliability organization” with teamwork and communication among all participants an accepted and expected pattern of behavior. The APSF has advocated application of high reliability organizational theory to the operating room and is eager to further refine this concept, ideally in cooperation with the national societies that represent nurses and surgeons. In the late 1980s, supported by APSF grant funding, realistic patient simulators were introduced into anesthesiology. Anesthesiology became the leader in the application and adoption of simulators that enhance patient safety through education (residents learning new skills for the first time on a mannequin), training (teamwork, critical event management), and research (human performance). Use of realistic simulators has now become common in other medical specialties and the APSF will continue to advocate this technology in the future. Past successes of the APSF have often reflected the ability of a nimble and efficient organization with minimal bureaucracy to rapidly address patient safety issues that become apparent (although not necessarily new) as risks to patients. The APSF was able to organize, on short notice, a conference that included clinicians and industry to discuss risks of carbon dioxide absorbent desiccation and extreme exothermic reactions with volatile anesthetics. Although the APSF does not write standards (and will not do so in the future) this conference developed a consensus statement and recommendations for avoiding this patient safety problem. Similarly, changing monitoring standards for use of audible physiologic alarms was made possible by the APSF initiating discussion of this question and placing the question, for the first time, “on the radar screen” of those national societies (American Society of Anesthesiologists and American Association of Nurse Anesthetists) who could ultimately change their monitoring standards to include the ability of the anesthesia professional to hear audible alarms at all times in the operating room. This role of the APSF in identifying patient safety issues and bringing them to the attention of the appropriate societies and individuals will continue to be a vital strategy in the future. “Would you fly on an airplane with a pilot who knew as much about his equipment as you know about your anesthesia machine?” This observation begs the question, “Should training be mandatory before an anesthesia professional uses new equipment in the operating room?” The APSF believes the answer is “common sense,” and industry would welcome increased compliance with “in service” activities. I believe that the APSF has the structure (neutral umbrella for industry and clinicians to work together on common safety issues) to improve technology training for those responsible for using new equipment on patients. As in the past, I believe future safety successes will often reflect the desire to do the “right thing because it makes sense.” Doing the right thing has and will be based on sound principles, technical theory, experience, and pursuit of real-life problems that have not been subjected to controlled experiments. This does not mean that evidence-based medicine should become a secondary goal but rather the recognition that safety changes that impact rare events may not lend themselves to traditional “randomized double blind studies” to confirm efficacy. tality. Rather, anesthesia safety has been achieved by applying a whole host of changes that made sense, were based on an understanding of human factors principles, and that had been demonstrated to be effective in other settings. Anesthesia patient safety in the past and in the future is doing a lot of little things that in the aggregate make a big difference. 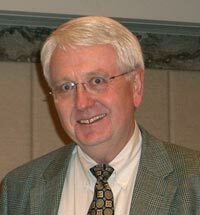 Dr. Stoelting is the former chair of the Department of Anesthesiology at Indiana University School of Medicine, president of the APSF, and author of numerous anesthesia textbooks, many of which are considered classics.